The boy looks up and sees the foreigner's rifle aimed at him. Why is this man here? This is not his conflict, it is not the boy's... it is hell. Jay has been home for a long time, but the ghosts of Yugoslavia are still with him as he busks his way round the country. Marilyn is fresh out of a controlling relationship and desperate to reassert her independence. The last thing she needs is to fall for an itinerant storyteller who has a strange relationship with the truth. And then the police call on her. When the past catches up with the present and stories become reality, Jay and Marilyn must decide who to believe and who to betray. "A real page-turner about the need for love, and the search for redemption... 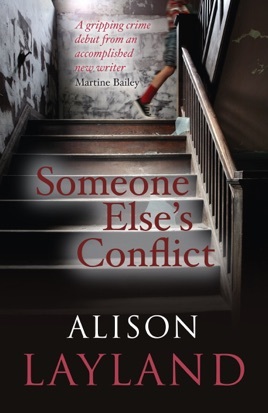 If you like a fast-paced thriller but want more - then buy this book" Martine Bailey, author of An Appetite for Violets "Snatches my interest and my emotions and never lets go..." Thorne Moore, author of A Time for Silence Someone Else's Conflict is a compelling narrative of trust and betrayal, love, duty and honour from a talented debut novelist.